You’ve got questions, we’ve got answers! Our last FAQ was really centered on our no-longer-recent RTW trip back in 2012. I know, I know, I’m still blogging about it. What can I say, life got in the way. Although our traveling days aren’t as ample as they used to be, we’re also not sitting around for retirement either. 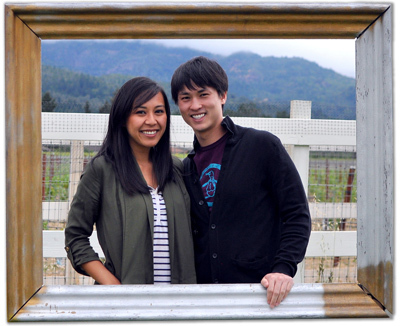 We are still traveling and lately, your questions have been about that: how we juggle that work/life balance, what’s our booking preference, travel hacks and more. So… here we go. How do you figure out where to go next? In short, it starts with Gerard and where ever he wants to go. Lucky for him, I don’t need much convincing and will usually play along. Gerard isn’t one for repeat places so he is more willing to jump continents to change things up.. Lately, he’s got Jordan on his mind. For me, I always want to go back to Europe and will take it any which way I can get it. Then again, when a fluke flight deal comes out of left field, both Jordan and Europe goes out the window and suddenly, I find myself Googling how to say hello in Tagalog. Where do you find cheap flight deals? About that fluke flight deal — one word: Kayak. It really was pretty random. We stumbled across pictures of Palawan while researching for Jordan and I jokingly blurted, wouldn’t it be crazy if we just scraped all our plans and just go to the Philippines? Next thing I know, he’s looking it up on Kayak and much to both our surprise, ANA had amazing rates for October! And because it’s ANA, and it usually flies through Tokyo, I opened my big wishful thinking mouth and said, well you might as well tack on an extended layover in Japan while you’re at it. And he did — Surprise! — we’re heading BACK to Tokyo! 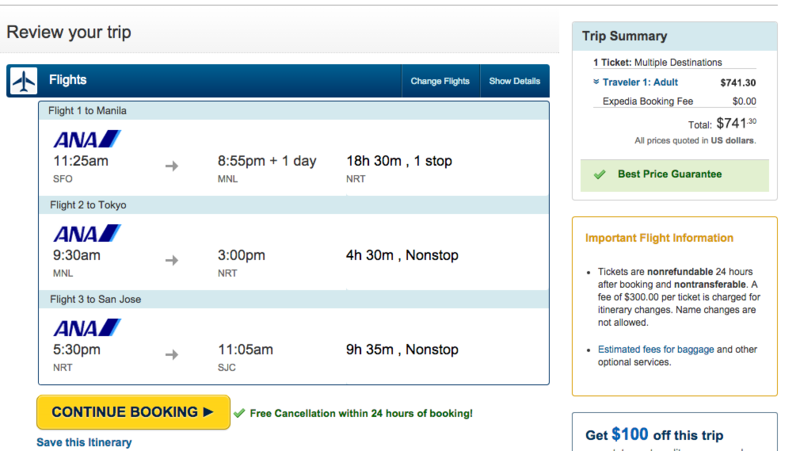 Here’s the big kicker; our flights from SJC > MNL > NRT > SJC cost less than a roundtrip ticket to Manila. LESS! Don’t ever discount multi-city flight options. You never know when the next layover could be a mini vacation within a vacation. The Flight Deal is also great at covering the latest flash sales. What’s your preferred type of accommodation? Lately, apartment rentals have been our go-to especially if we’re traveling stateside or in Europe. We enjoy the comforts and privacy of a home away from home. Plus, it makes us feel like we’re locals. For Asia, we usually do hotels since they are already so cheap to begin with. We’ve used Airbnb, Flipkey and Wimdu for Stateside and European apartment bookings. Typically Agoda for hotels in Asia and Booking or Expedia for the rest of the world. How do you book activities or make reservations abroad? In the past, simply online, email or phone though it can be difficult and frustrating dealing with foreign bookings. Just recently though, we came across two awesome services that have made our booking lives so much easier. We don’t work for either, but think a great service is worth sharing. If you own a Visa Signature credit card, take advantage of their Concierge service to help you book events, activities, hotels and even restaurants. Gerard’s currently getting help from local dining specialists to make restaurant reservations in Japan — super helpful when most don’t offer online booking or speak English for that matter. Same goes for Expedia Concierge. Take our Manila hotel reservation. We jumped the gun and made a non-refundable booking early then decided we’re going to modify our itinerary. Oops. Not only was concierge super friendly, but they managed to contact the hotel directly and updated our reservation for us. We did not have to make one international call. What’s your trick for packing light/carry-on? 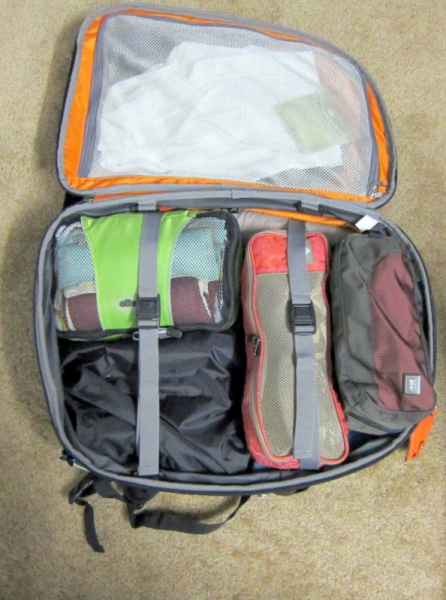 Two words: packing cubes. It’s the ultimate packing organizer! We’re minimalist to begin with, but packing cubes don’t just help us maximize our luggage space, it also keeps it organized: separating shirts from pants, socks from undergarments. We even use it to hold power cords and cables. Gerard has the Eagle Creek pack-it set which he uses the garment folder to store all his shirts, the medium cube to roll all his pants into. Really, I have no idea how to pack any other way. It’s how we’ve managed to go carry-on all these years. How are you able to take so many vacation days? How can you afford to travel the world? No matter how many times we get asked, how can you afford to travel, it always catches me by surprise because the question insinuates that traveling is expensive to begin with. I’m half tempted to answer, the same way you afford 49ers or Warriors’ season tickets, that Chanel wallet or eating out all the time, and try not to sound sarcastic or bitchy when I say it. There’s no magical formula to it — just the willingness to prioritize how you spend your money. If only you knew how much we actually spent in any given place, oh wait, you do: $47/day in Peru, $41/day in Thailand and $37/day in Prague — way cheaper than living at home. My average daily expense in California is equivalent to a week in Cambodia. Traveling can be as affordable as you make it. While we don’t splurge often on luxury, we keep our budget flexible, an open mind to adjust our expectations where ever we go. Hopefully we’ve answered all your burning questions. If not, feel free to leave one in the comments! Great Q&A guys 🙂 The last bit about affordability is so true — we get the same question all the time, and while we love telling people how affordable travel is (or can be), sometimes you really just want to scream! Scream, or pull your hair out.. lol. I’m glad we’re not the only ones — thanks guys!